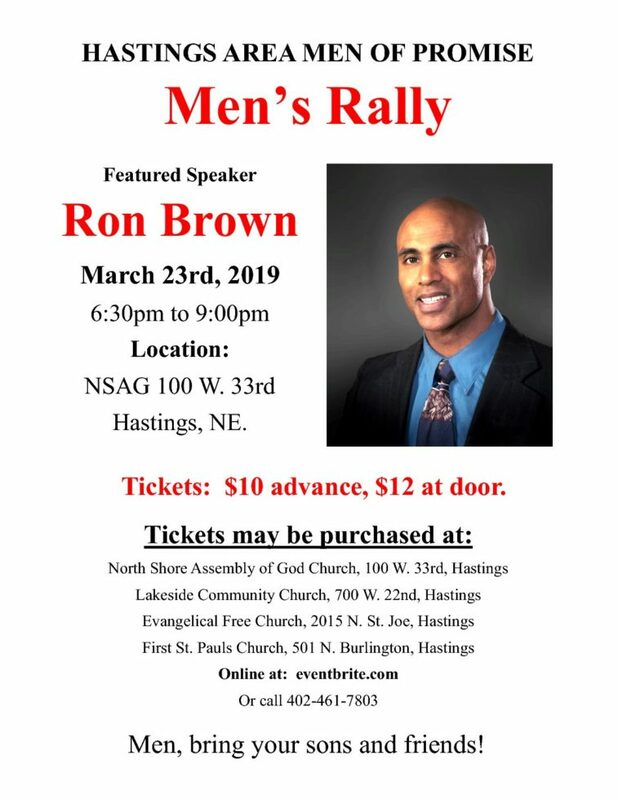 Men’s Rally sponsored by the Hastings Area Men of Promise. A multi-church praise band for worship. Two testimonies to be given. A short video of the Skit Guys presenting the Serenity Prayer. A short skit titled ‘Give me back my stuff’, with Ron Brown as our featured speaker. To purchase tickets, click here or call 402 -461-7803!